How To Understand Others Better! Until we can learn how to understand others and why people say and do certain things, we will never be able to help them or allow them to help us. Here are some encouraging scriptures about understanding others. Psalm 49:3 My mouth will speak words of wisdom; the meditation of my heart will give you understanding. Understand Others With A New Set Of Eyes! 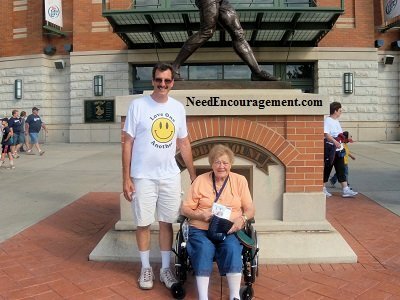 My mom was the BEST mom ever, and she showed it in many different ways throughout my entire life. She understood me, and I understood her! It is so important to understand others. My Mom And I Understood One Another! When you learn how to understand others, you will begin to start having healthier relationships and experience more peace in your life! The fear of the Lord is the beginning of understanding and wisdom. 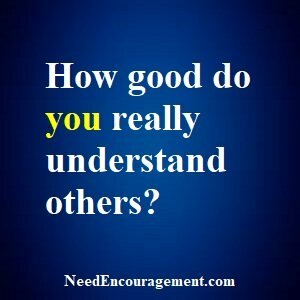 Learn how to understand others because that is one of the secrets of being in good relationships. Do you think that you know how to understand others? You may believe that you do, and that might be true to some degree, but do you understand what they meant to be communicating with you? To be able to know, love and understand others, we need to practice first listening to others first, and also sharing your thoughts and feeling with the other person. It is kind of like walking in other’s shoes, you could say. It’s the ability to know how the other person would feel if you were them is an excellent place to start. Can I overcome having a critical spirit? Why is praying for others significant? To be able to understand others, you need to want to be a good listener! Just sit down and start to talk. Keep in mind that God created us to be social creatures. Instead of just talking about and learning about getting to know someone, jump in and start to do it. Old-fashioned cards or letters can also be a refreshing way to communicate. Emails and texts are okay but less personal. Real Friends Understand, Do You Understand Others? Are the things I plan to say to others today: kind, true, and necessary? Remember that we must always try to think before we say or do things. Avoid heated discussions. When we’re emotionally charged, we don’t think clearly and argue out of the impulse to be right, to defend ourselves, and save our egos. If a discussion is necessary, wait until you and everyone else has cooled off before diving into any further conversation. You get more bees with honey than with vinegar. Try offering a kind word and not emotionally dumping your feelings on the other person you are dealing with. Work on understanding others. Do unto others as you would want them to do unto you. Don’t respond. Many times when a person initiates a negative message or rude attitude, they’re trying to trigger a response from you. When we react, we’re giving them what they want. Stop talking about it if the discussion is going nowhere! When you have a problem or a conflict in your life, don’t you find that people love talking about it? The more we talk about how much we dislike a person, the more hatred we will feel towards them and the more we’ll notice things about them that we dislike. Five Secrets To Understanding Others Better! Helpful Ideas For Better Relationships With Others! Have you put yourself in the other person’s shoes? Try it, and you may understand how you may have hurt their feelings, this is an excellent way to understand others better. Be quick to listen, slow to speak, and slow to become angry! We have been given two ears and one mouth. A good rule to follow is to, listen twice as much as we speak. This too will help to avoid unnecessary anger with others. You must try to Understand a Friend better. Practice forgiveness! Ask yourself, “What is it about this situation or person that I can seek to understand and forgive?” God says that if we do not forgive others sins against us, then he will not forgive our sins. At the same time, we need to ask God for wisdom and patience with those whom we don’t see eye-to-eye with. Get some exercise and care for your health! Go for a walk, run, swim, or some other workout and invite a friend to join you. Keeping healthy allows you to handle stressful situations better. If you smoke cigarettes, try to quit smoking. If you drink alcohol or use other drugs, those can be a negative reason for you to consider to stop as well. Practice an act of kindness today towards someone you know or even someone you don’t! Do something kind for someone today without expecting anything in return. Understand that others need to be considered significant which will develop into healthy friendships that much more quickly. 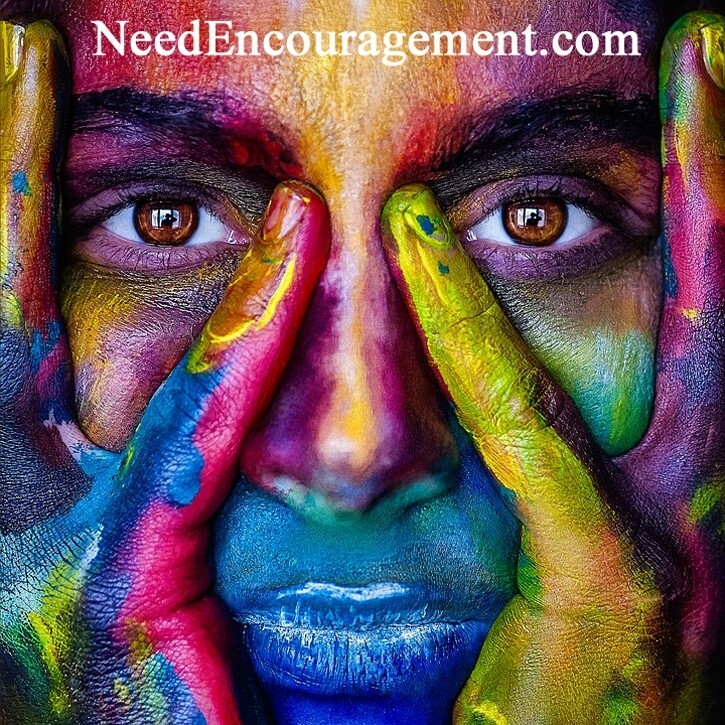 Sometimes people are struggling with issues of their own – may be an alcohol or drug addiction, or mental illness, such as depression, and could be taking their frustration out on you with irrational, or even rude, out-of-line behavior. Try to use kindness as a way to get along with them better instead of what comes naturally, which is getting frustrated or angry. Keep in mind, when we point our finger at another person, thinking that the problem is their problem, often three fingers are pointing back at ourselves. Try to practice patience for others and humility for ourselves. Try to be patient, try to be loving, try to handle situations like Jesus would want you to, through the teachings of the Bible. All of these ideas we have shared for getting along with others will pay off as you practice them in your daily life. There are excellent ways to get to know each other better. Some examples are asking questions, being interested in the other person more, being aware of other people’s needs. To get along great with others, there must be effort involved. Prayer Of St. Francis For Peace / Understand Others! A Real True Friend Is Someone Very Special! “Make new friends, keep the old, the new are silver, and the old are gold. Real friends do not keep score in the friendship; they understand that true friends are real friends no matter what goes on in the relationship.